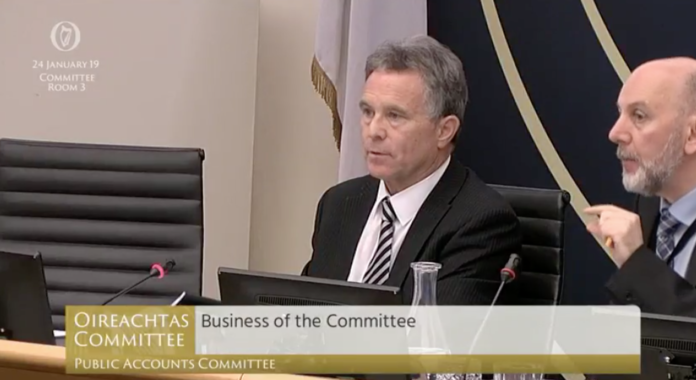 Chair of the committee Seán Fleming TD criticised the Department’s failure to publish the audited financial statements of the University of Limerick and IT Sligo. Share the post "Gap in authority in third level education must be addressed, PAC hears"
Major deficits which exist in the governance structure of the higher education sector must be addressed, members of the Public Accounts Committee have stated. The committee was meeting this morning before a hearing to examine the Comptroller & Auditor General’s (C&AG) reports into the handling of remuneration for certain staff in the University of Limerick and Institute of Technology Sligo. Inaccurate and misleading information had previously been supplied to public bodies by the University. The committee was also examining a report by the C&AG into the disposal of intellectual property at Waterford IT. The Higher Education Authority had previously assured the committee that it would publish a report in relation to this, but indicated in correspondence that it would no longer seek to do so on the basis that it does not have the proper statutory powers. During this morning’s committee business, Fianna Fáil TD Marc McSharry told the PAC that major deficits exist “in the overall oversight of education, in particular at third level.” He stated that there is a “gap in the competence of authority” between the Higher Education Authority, the Department of Education and the individual higher education institutions. Secretary General of the Department of Education and Skills Seán Ó Foghlú was appearing before the committee following the C&AG’s special report published last November which found irregularities in pension payments to senior staff at the University of Limerick and the Institute of Technology Sligo. Hearing from Ó Foghlú, Chair of the committee Seán Fleming TD criticised the Department’s failure to publish the audited financial statements of the University of Limerick and IT Sligo. Ó Foghlú stated that the accounts were received five weeks ago and would be examined by the Department in conjunction with the HEA over the course of a 3 month period. Fleming, a TD for Laois, pointed out that this meant three years will have gone by before the statements are published. In response, Ó Foghlú stated that the consideration of the financial statements is not a “tick box exercise or a quick look” and that the Department must regularly engage with the HEA and the individual institutions.